Tom Abrehamson has taught more than 5,000 yoga classes in Silicon Valley and is Yoga Alliance certified as an Experienced Registered Yoga Teacher. He has mentored over a dozen apprentice teachers. Tom has taught at various Silicon Valley corporations and has taught many Silicon Valley CEO’s and/or their significant others, groups of Stanford professors, and yoga students from every inhabited continent, including dozens of Indians or Indian-Americans resident in Silicon Valley. He currently teaches at two of the top yoga studios in the Valley: Yoga of Los Altos and Yoga is Youthfulness in Mountain View, gives private lessons and workshops, and trains teachers how to teach Pranayama. Tom shares with his students his experiential knowledge of Asana, Pranayama, Mantra, Mudra, Kriya, Yoga Nidra, Meditation and Subtle Energy Work. 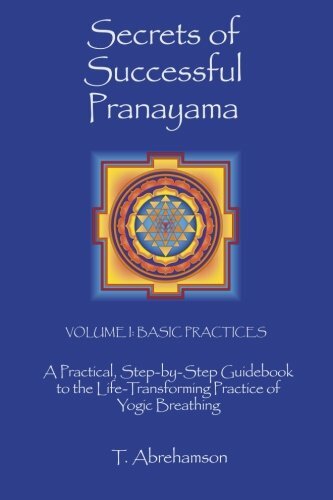 Tom’s asana and pranayama work have been the most powerful tools I have encountered for deep and sustainable spiritual growth. The effects of what he teaches creep up on you - and before you know it, your life just flows with ease. Tom’s lessons are mind-bogglingly wonderful - life-changing stuff - and heartily recommended to anyone in the South Bay of the San Francisco Bay Area. I was never able to meditate and enjoy the outcome, until I started to take Tom’s classes. I am amazed at Tom’s extensive knowledge of yoga asanas and pranayam, both in terms of technique and in terms of the purpose and benefits. Call me the typical Type-A Silicon Valley multitasking working mom. Breathing? Yeah, not so much for me. Can’t even sit still for 5 minutes. That is until I met Tom. Then everything changed. I was amazed that I could be ‘present’ and mindful, and lose track of time. Tom “keeps it real” without asking us to mentally or spiritually go beyond our comfort zone. He leads you without directing you. This is what I went to India for but didn’t find! Best Damn Yoga Instructor I Have Ever Had! R.H., after taking his first yoga class ever.